We inspire shoppers on their path to purchase. Not your average in-store demos. Our personalized shopper programs drive purchase and build emotional connections with brands and retailers alike. Armed with data, we reveal insights to uncover new opportunities for unrivaled shopper growth. 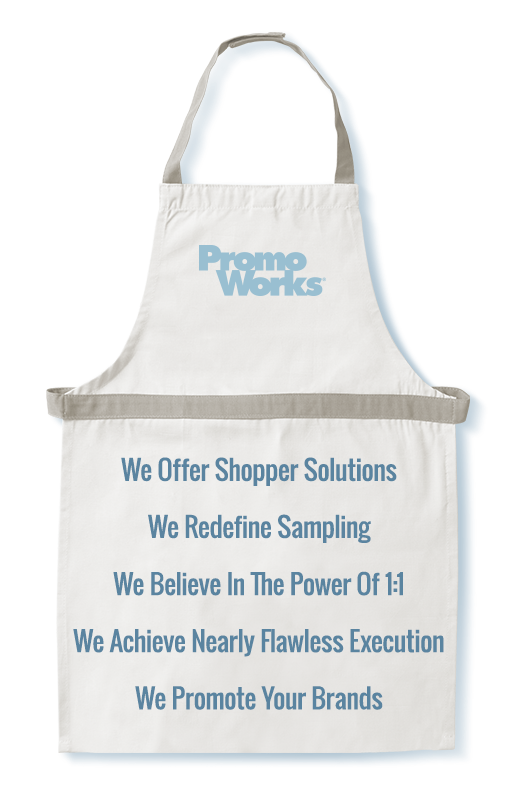 From in-store to digital, to creative services, out-of-home and more, PromoWorks delivers remarkable results. if they try products in store. To learn how we’ve been innovating shopper experiences for 17 years, please contact Rob Reents. For career opportunities contact pwrecruiting@promoworks.com. A CROSSMARK Company. Copyright © 2017 PromoWorks. All rights reserved.